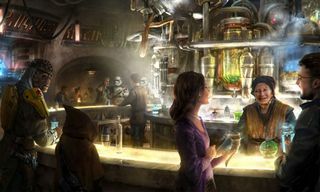 Disney has released new information about its upcoming Star Wars-themed areas of Disneyland in California and Disney’s Hollywood Studios in Florida, Variety reports. 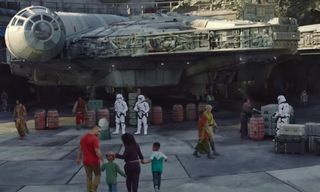 The Star Wars: Galaxy’s Edge attractions, currently under construction and scheduled to open next year, will host Millennium Falcon: Smugglers Run, which will put visitors at the controls of Han Solo’s ship, and Star Wars: Rise of the Resistance, which will thrust guests into a galactic battle between the First Order and the Resistance. 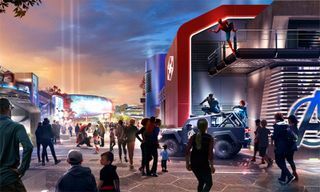 Disney chairman of parks, experiences, and consumer products Bob Chapek unveiled the new additions at the D23 expo’s Destination D event at Walt Disney World Resort. The trailers and details for each are below. 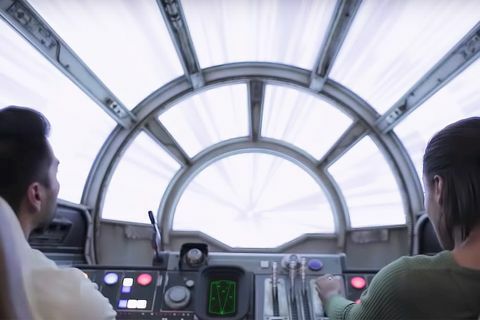 Millennium Falcon: Smugglers Run allows guests to channel their inner Han Solo (or Chewbacca/Lando Calrissian) by placing them at the controls of the fastest ship in the galaxy. 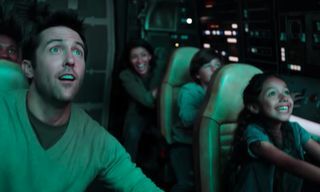 Visitors are given one of three flight crew roles, although the mission specifics remain under wraps. In Star Wars: Rise of the Resistance, guests must navigate an epic battle between the Resistance and the First Order. 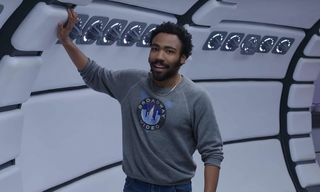 The trailer was shot inside the actual attraction, which looks pretty legit when compared to the sets used in recent Star Wars movies. What’s more, OG Star Wars composer John Williams is writing new music exclusively for the new attractions. 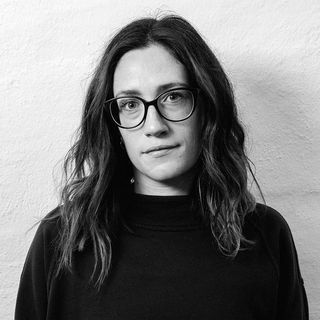 The new score will be recorded by the London Symphony Orchestra at Abbey Road Studios in London. 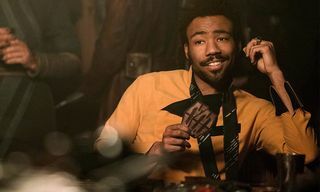 Are you planning to fly to the Galaxy’s Edge? Let us know in the comments.